Having just filed a trademark lawsuit against North Face, the Canadian Olympic Committee (COC) is turning its legal gaze on Budweiser Canada. The COC has expressed concerns that Budweiser’s latest Red Light ad – which features the brand’s two-storey branded air ship – piggy backs on the Olympics. Neither the brand nor parent company Labatt Brewing Co. are an official sponsor of the games in Canada. The ad in question features a scene that takes place in Russia in which a group of people watch Team Canada score on Russia during a hockey game. The COC is also concerned about Red Zeppelin, the 21-by-7-metre blimp that Budweiser is flying over Canadian cities and lighting up when Team Canada scores. While the COC believes the Red Light campaign attempts to associate itself with the Olympics, Michaela Charette, brand director of Budweiser in Canada, told Marketing last week that the campaign was crafted to continue Budweiser’s association with hockey in Canada, rather than a particular team or league. Though the Red Zeppelin will be used for promotion during the Olympics, she stressed that the brand will continue to use it “through June” as hockey season continues. All of Budweiser’s Red Light marketing materials, from its YouTube videos to Budweiser.ca, carry fine print stating that Budweiser is not an official sponsor of either the Olympics or the NHL. 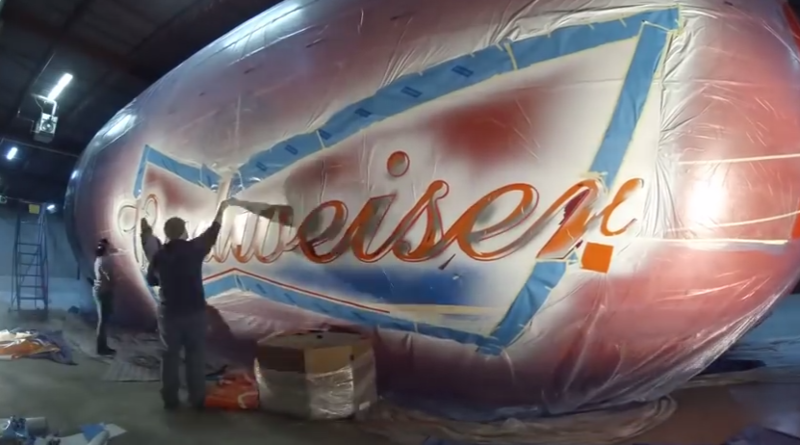 Those moves may be enough to protect Budweiser in court, but the tactics it has taken rubbed many in the sponsorship industry the wrong way, including one Marketing reader who commented anonymously on our previous coverage of the campaign. Though the COC has expressed its views on the matter, it has yet to officially take any legal action. This story can be found at: http://marketingmag.ca/brands/coc-accuses-budweiser-of-olympic-ambush-100490.